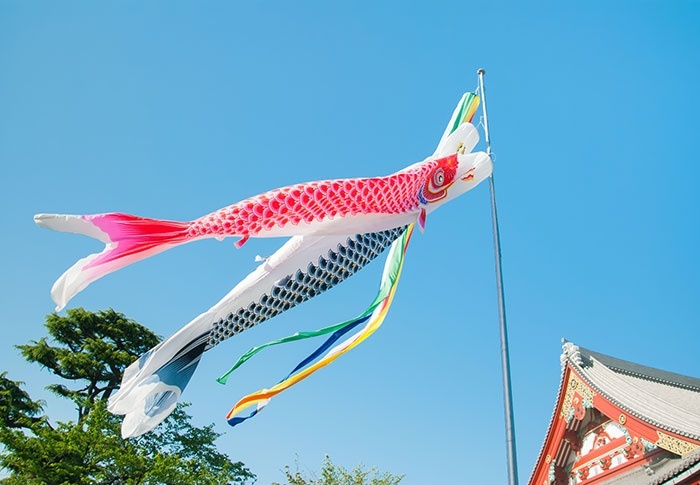 The Club celebrates Boys’ Day, or Children’s Day as it is now called, with a traditional samurai suit of armor and colorful carp streamer display. Celebrated on May 5, the national holiday was known as the Feast of Banners until 1948 and was originally a time for families to celebrate male children with symbols of vitality and strength. The samurai display in the first-floor Family Lobby is provided by Yoshitoku, a Tokyo-based doll company established in the early 18th century, which also supplies the ornate Girls’ Day display earlier in the year.